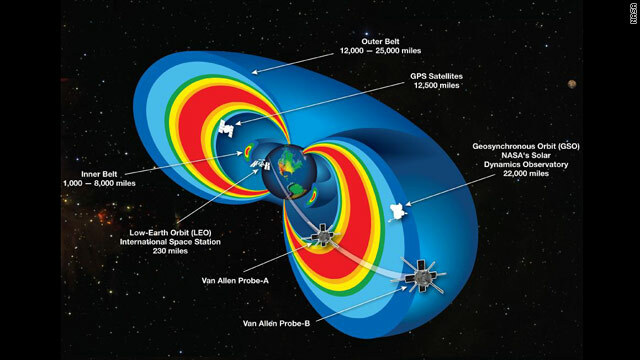 This illustration shows the Van Allen radiation belts and the positions of the twin Van Allen probes. Two regions of radiation encircle the Earth. They’re called the Van Allen belts, and they are a pair of dynamic regions of trapped radiation, separated by a void and held in place by the Earth's magnetic field. They protect the planet from the radiation of space and the effects of solar weather. We’ve known about these two belts since James Van Allen, the eponymous astronomer, discovered them in 1958. It's important that we know as much as we can about the Van Allen belts and how they change, because most of Earth's satellites live in the region. Two NASA probes detected a third radiation belt, which disappeared a few weeks later. It appears that solar weather caused its formation, and disappearance. 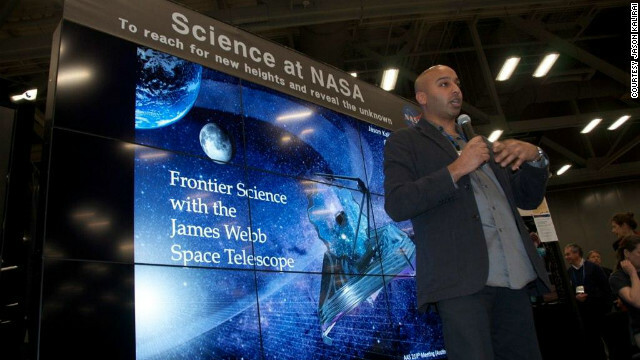 Astronomer Jason Kalirai says he finds it rewarding to spark young people's interest in science. Editor's note: The Science Seat is a feature in which CNN Light Years sits down with movers and shakers from many different areas of scientific exploration. This is the first installment. Jason Kalirai is the deputy project scientist for the James Webb Space Telescope, which will be NASA's next big mission in astrophysics. He works at the Space Telescope Science Institute in Baltimore. Last month, Kalirai, 34, won the American Astronomical Society's Newton Lacy Pierce Prize for his achievements in observational astronomy. CNN Light Years recently spoke with him about his work. Below is an edited transcript. These are snapshots of an active region of the sun taken by Hi-C. The two on the left are zoomed-in parts of the main image. The sun's outer atmosphere, called the corona, is much hotter than its surface. The atmosphere's temperature rises to millions of degrees, while the surface is only about 5,000 degrees Kelvin - a mysterious contrast, given that the atmosphere is farther from the sun's hot core. Scientists wanted to find out what energy source could be responsible for the inflated temperatures of the corona, which is where space weather - such as solar flares and coronal mass ejections that can interfere with your GPS - comes from. 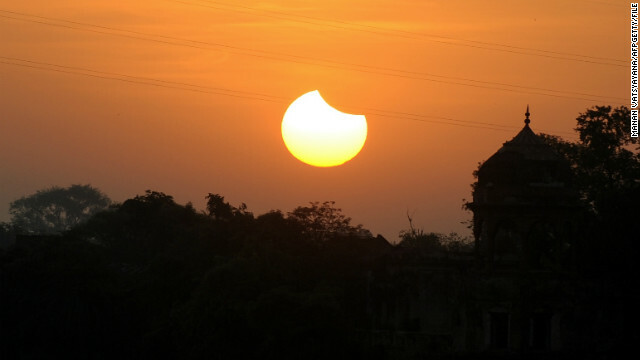 On November 14, northern Australia and the southern Pacific Ocean will witness a total solar eclipse. Are you traveling to Australia especially to watch the solar eclipse? Share your experience with us. Susie Kalimnios has traveled thousands of miles for two spectacular minutes. The mother of three from Montauk, New York, is in Australia for what she's hoping will be "the experience of a lifetime." She has made a pilgrimage to Australia's remote Far North Queensland region to witness a total solar eclipse. For just a few ethereal minutes on the morning of November 14, the nation's northernmost tip will be plunged in to complete darkness, as the moon aligns precisely between the earth and the sun. At first glance, it might not seem real. But this incredible aurora, captured on camera by the Yukon River in Canada, is the result of a massive solar flare. CNN’s Josh Levs explains the whole story, with stunning new video of the coronal mass ejection 30 times the width of Earth. These events can disrupt everything from cell phones to power grids. When they don’t, they can be downright stunning. Space geeks are agog over the above video, shot by NASA’s Solar Dynamics Observatory, depicting a beautiful whip-like solar filament stretching across the surface of the sun. The video, which shows solar activity from August 6 to 8, shows a dark red filament that's about half a million miles long. Unstable magnetic forces cause these filaments, which are cooler clouds of solar material, to be tethered above the sun's surface, according to NASA. A small cloud of radiation associated with the "solar whip" did reach the Earth. A minor geomagnetic storm and a minor solar radiation storm brought the Northern Lights to parts of North America over the weekend. Both storms have ended, according to the National Weather Service's Space Weather Prediction Center. CNN meteorologist Rob Marciano says the Northern Lights may be visible tonight, too, because a strong solar flare is about to happen as Sunspot AR1564 continues to grow and could cause the formation of an M-class flare, a solar euruption of medium strength. NOAA forecasters estimate a 40% chance of M-flares during the next 24 hours. Those flares will be visible because the active region is turning toward Earth. An image from November 3 shows an X1.9-class solar flare. Since their inception in 1964, global positioning systems have changed the landscape of travel and navigation around the world. However, the out-of-orbit satellites that allow these innovative systems to work are in jeopardy, largely because of weather – from the sun. Large solar flares appear to be the problem. They act as explosives that erupt from the sun’s surface and can cause irreversible damage if their flareups aren't known about ahead of time. Researchers at the California Institute of Technology may have a solution. 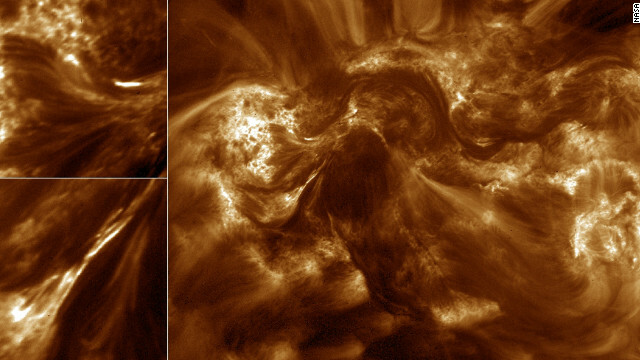 They are examining the predecessors of solar flares, called plasma loops, by re-creating them in a lab. Solar flares cannot be prevented, but if they can be predicted, it would help scientists figure out how to protect satellites from plasma loops, said Paul Bellan of California Institute of Technology. The aurora borealis is seen over the Midwest. 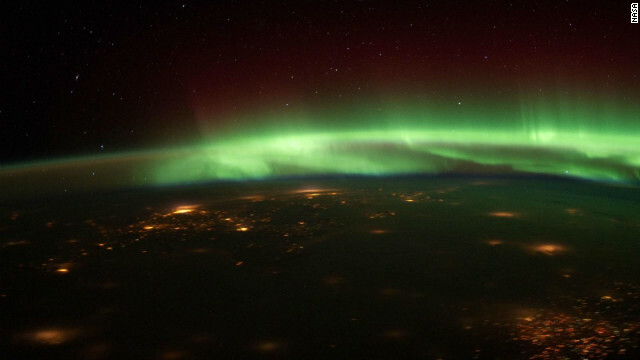 The French could get a magnificent light show for Bastille Day this weekend thanks to a geomagnetic storm due to hit Earth on Saturday, a U.S. government scientist said. The storm can generate auroras: waving, colorful lights that appear in the sky. Joe Kunches, a space scientist for the National Oceanic and Atmospheric Administration, said the auroras may be seen along the U.S.-Canada border and in northern Europe on Saturday night. They are common farther north, like the Northern Lights, but magnetic storms like this one can make them appear in lower latitudes, he said. As predicted, Tuesday brought what's the last time in almost all of our lifetimes that we'll see the planet Venus cross the sun. It looked like a small black dot making its way across our star over the course of about seven hours. We hope you didn't stare directly at the sun! We gave you some viewing tips yesterday, so we hope that helped. Check out the Open Story , a collaborative effort of CNN journalists and iReporters around the world. Click through to see all sorts of ways that people got to see this spectacular astronomical event. The awesome time-lapse video above also gives you a sense of what happened. Here's the path that the planet took as it traversed the sun. 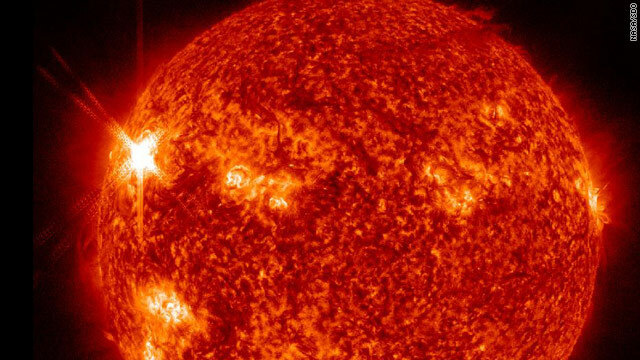 This is one of the rarest predictable solar events, NASA says. The next transit of Venus won't happen until 2117. Rather than wait for the next one, you might as well enjoy the spectacular photographic evidence of last night. 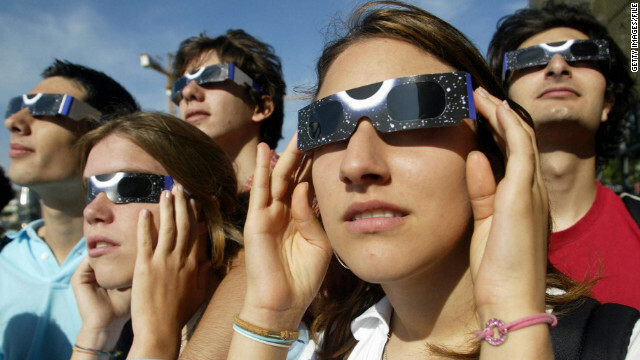 Watching the transit without special glasses will permanently damage your eyes, say experts. Regular sunglasses aren't safe. Whatever you do, for God's sake, don't look at it with your naked eyes! Today, the planet Venus is crossing between the Earth and the sun - and millions of people will be craning their necks and squinting to see it. Taking a gander at the "Venus Transit" without protection will put you at risk for permanent eyesight damage, say experts. It's going to be hard to see - even with the right eyewear. (Safety tips below.) But you might really want to take a look at it, knowing this: it's Mother Nature's last-chance offer.